The future of dry cleaning comes to Cedar Park. Lapels Dry Cleaning to open at 1851 South Lakeline Boulevard, Cedar Park, TX. 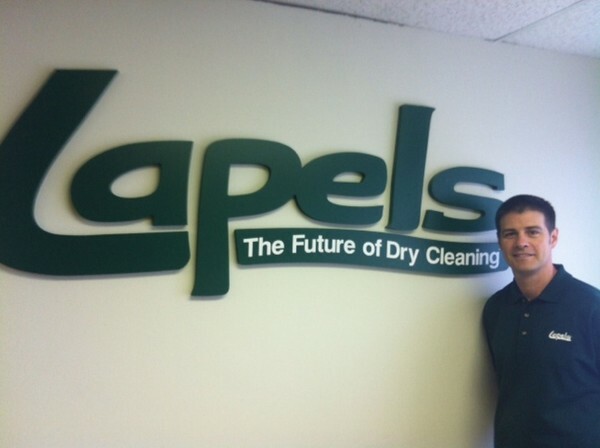 Lapels Dry Cleaning, an innovative, environmentally friendly dry cleaning company headquartered in Hanover, Massachusetts, will open a new location on March 8 at 1851 South Lakeline Boulevard, Cedar Park, Texas. The Cedar Park Lapels represents the second Lapels Dry Cleaning location to open in the greater Austin area (the first store opened in January at 9900 West Parmer Lane in Austin). Hours for the new Cedar Park Lapels Dry Cleaning store are Monday through Friday, 7 am to 7 pm; Saturday 8 am to 5 pm; and Sunday, 12 pm to 3 pm. The grand opening for the new Lapels will be held on April 5. Lapels has pioneered its eco-friendly dry cleaning experience for the past dozen years. Using the latest technology in equipment and cleaning solution, Lapels is one of the few dry cleaners in Texas to be able to boast that there is no hazardous waste in their process. Their environmentally-friendly cleaning process has no odor and is gentler on clothes, thus lengthening the life of clothes. At Lapels you can see, feel and smell the difference. Lapels customers are greeted to a warm and inviting reception area, with friendly customer service representatives, and alteration services. Lapels offers its customers Automatic Rewards earning them credit towards free dry cleaning for every dollar they spend, Loyalty Programs, a VIP Program which eliminates the need to wait in line and the use of a 24 Hour Drop Off Service. Same day service is also available with pick-up after 5 pm. Each Lapels Dry Cleaning store offers a full slate of services, including: same-day dry cleaning; shirt service; tailoring; shoe repair; wedding gown preservation; suede and leather processing; box storage and fur storage. Lapels Dry Cleaning has stores in Arizona (Gilbert, Chandler), California (Poway), Colorado (Littleton), Connecticut (Cromwell), Louisiana (Monroe, West Monroe, Delhi, Rayville, Winnsboro), Massachusetts (Abington, Bedford, Boston, Brighton, Cambridge, Cohasset, Dedham, Easton, Framingham, Franklin, Hanover, Marshfield, Natick, Needham, Newtonville, Norton, Quincy, Walpole, Westford, Westwood and Wilmington), Missouri (Wildwood), New Jersey (Brick, Freehold and Verona), Ohio (Liberty Township), Oklahoma (Oklahoma City), Pennsylvania (Bloomsburg), Rhode Island (Lincoln); South Carolina (Myrtle Beach, Pawleys Island); Texas (Austin, Brownsville, Cedar Park). Additional locations are coming soon to New Albany MS, Bee Cave, TX, Hingham, MA and Allston, MA. Lapels Dry Cleaning has been ranked in Entrepreneur’s 26th Annual “Franchise 500” as well as Entrepreneur’s “Top 50 New Franchises,” identifying Lapels Dry Cleaning as one of today’s top franchise opportunities. Entrepreneur’s “Franchise 500” is the best and most comprehensive rating of franchises in the world and is based on objective, quantifiable measures of a franchise operation.